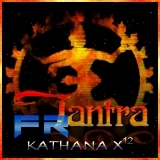 " kill to protect "
" save and defend "
TANTRA 3000FR ASHRAM, A CALL TO ARMS. BE READY FOR THE FIRST OFFICIAL ASHRAM WARFARE. is there a vedi kruma now? if none,when it will be?